In thinking about Justice, we ignore Love to our peril. 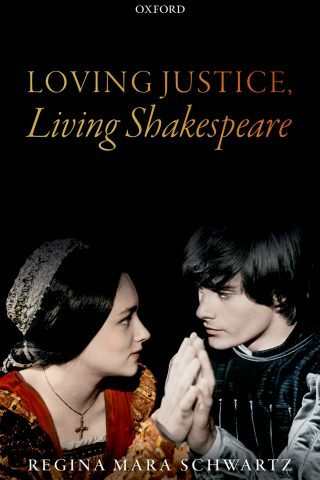 Loving Justice, Living Shakespeareasks why love is considered a ‘soft’ subject, fit for the arts and religion perhaps, but unfit for boardrooms, parliamentary and congressional debates, law schools and courtrooms, all of whom are engaged in the ‘serious’ discourse of justice, including questions of distribution, questions of contract, and questions of retribution. Love is separate, out of order in the decidedly rational public sphere of justice. But for all of this separation of love and justice, it turns out that in the biblical tradition, no such distinction is even imaginable. The biblical law is summed up as loving the neighbour–this is further elaborated as loving the stranger, loving the widow, the orphan, and the poor–those who lack a protecting community. Analysis of these foundational ‘love commands’ shows that in them, love means care, that is, apprehending and responding to the needs of others. This is both love and justice. Prevailing political concepts of justice are incomplete for they are premised on a belief in scarcity: limited supply (of goods, opportunities, even forgiveness) suggests they must be meted out in fair measure. To the contrary, with love, the good sought is not in scarce supply. Its distribution is not a problem for the more of it you give, the more it is replenished. So with love, the emphasis is not on how to apportion fairly–how much love do I give each of my children!—but how to understand and respond to need. This understanding of justice as including mutual care has a rich history in religious thought as constituting social glue. The revival of the Bible during the Reformation and the ubiquitous allusions to neighbor love in the Book of Common Prayer made it ever-present in Renaissance discourse, and Shakespeare brought this ethos to audiences in many of his plays. Part of the reason Shakespeare endures is that this ethic resonates for audiences today: we abhor the evil of Iago, the greed of Macbeth, the narcissism of Lear, and to even begin to understand how the sacrifices of Romeo and Juliet could heal ancient social conflict, we must assent to the power of love to create justice.